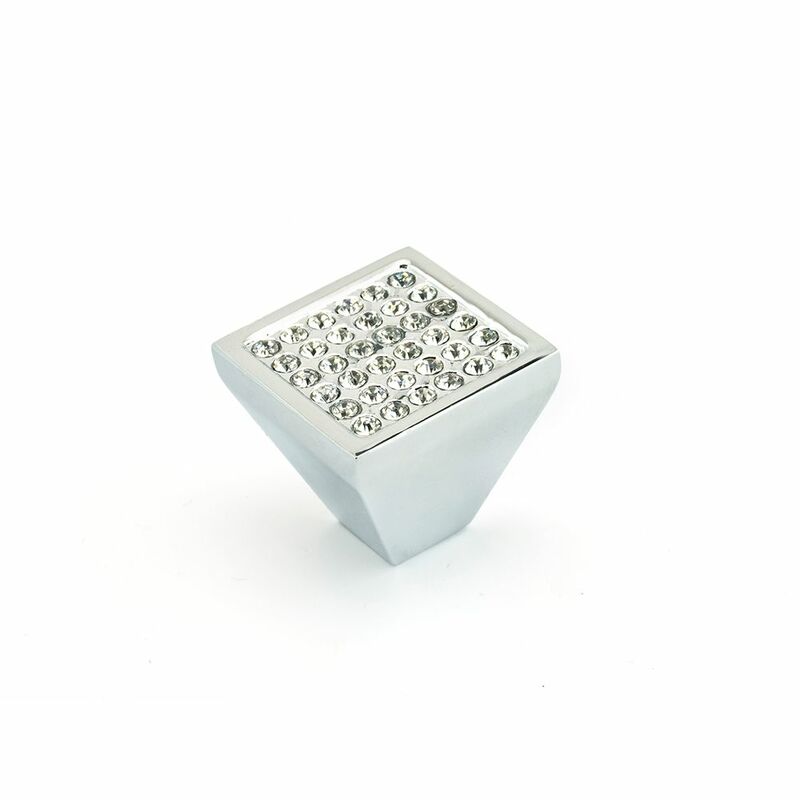 Add a touch of opulence to your furniture and watch the light sparkle across the crystals of this contemporary knob. With its simple straight lines this contemporary knob is perfect for adding that modern touch to cabinets. This elegant design combined with its matte black knob and contrasting shiny chrome base, will work well in your kitchen or bathroom. Contemporary Metal and Crystal Knob Crystal Chrome - Vence Collection Add a touch of opulence to your furniture and watch the light sparkle across the crystals of this contemporary knob. Contemporary Metal and Crystal Knob Crystal Chrome - Vence Collection is rated 5.0 out of 5 by 3. Rated 5 out of 5 by Jenlynmik from Bling! I love these classy bling cabinet pulls. They really make my cabinets pop?